The Trateri are about to learn a vital lesson of the Broken Lands. Deep in the remote expanse where anything can happen, it pays to be on a pathfinder's good side. Nobody ventures beyond their village. Nobody sane, that is. Monstrous creatures and deadly mysteries wait out here. Luckily for the people she serves, Shea's not exactly sane. 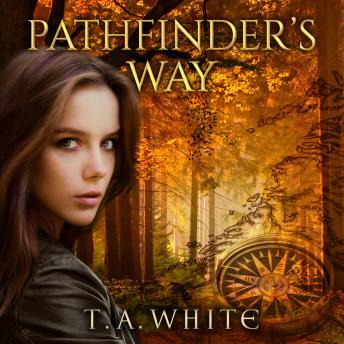 As a pathfinder, it's her job to face what others fear and find the safest route through the wilderness. It's not an easy job, but she's the best at what she does. When the people she serves betray her into servitude to the Trateri, a barbarian horde sweeping through the Lowlands intent on conquest, Shea relies on her wits and skill to escape, disguising herself as a boy to hide from the Warlord, a man as dangerous as he is compelling. After being mistaken as a Trateri scout during her escape, Shea finds herself forced to choose between the life she led and the possibilities of a new one. Her decision might mean the difference between life or death. For danger looms on the horizon and a partnership with the Warlord may be the only thing preventing the destruction of everything she holds dear.